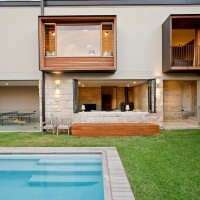 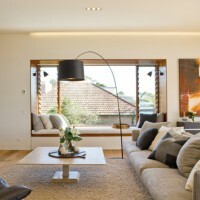 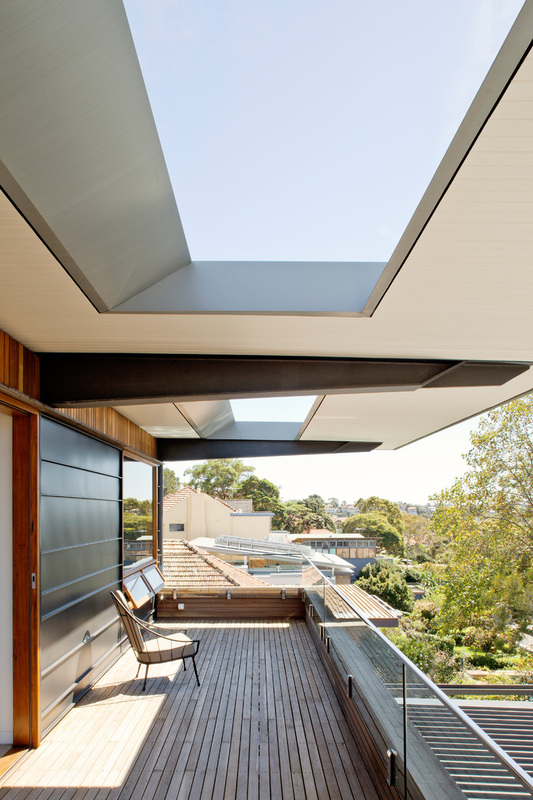 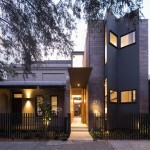 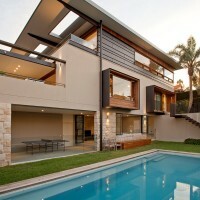 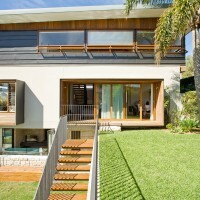 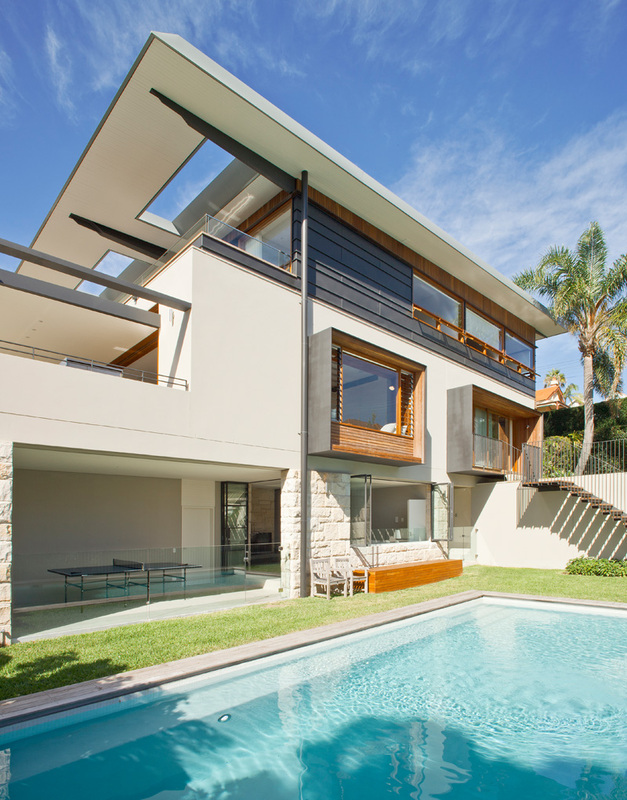 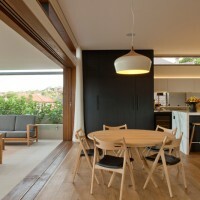 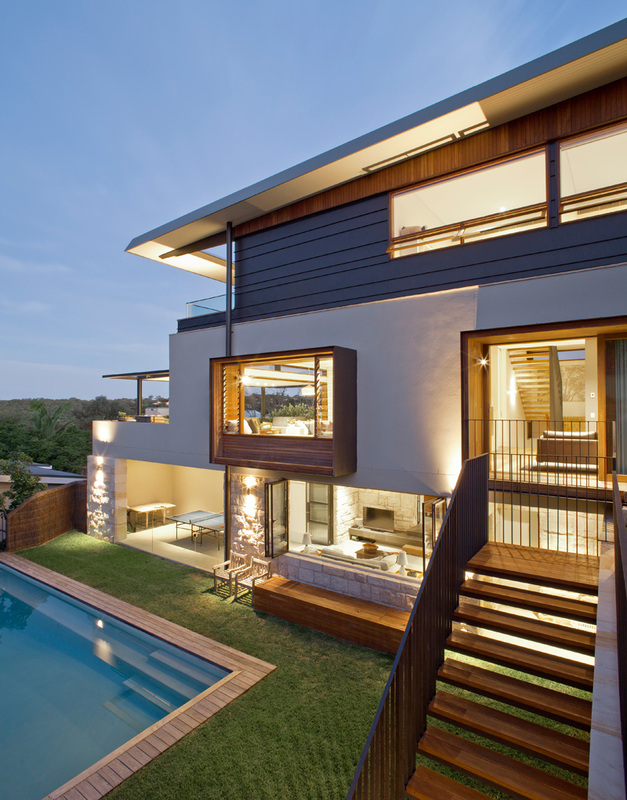 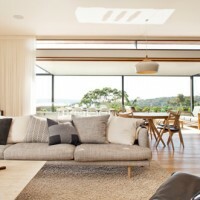 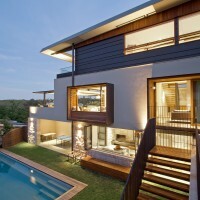 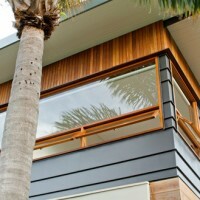 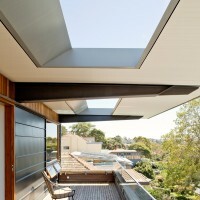 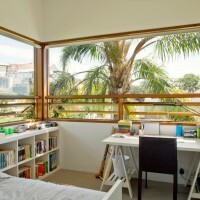 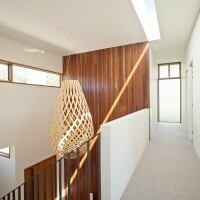 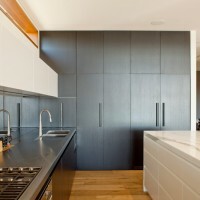 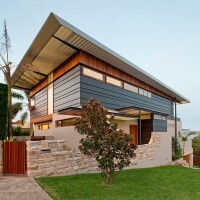 Richard Cole Architecture have designed a home that overlooks Middle Harbour in Sydney, Australia. 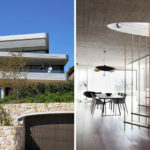 A sculptural response to an exposed corner site overlooking Middle Harbour in Sydney builds on the materiality of the existing sandstone base to create a dramatic and layered form. 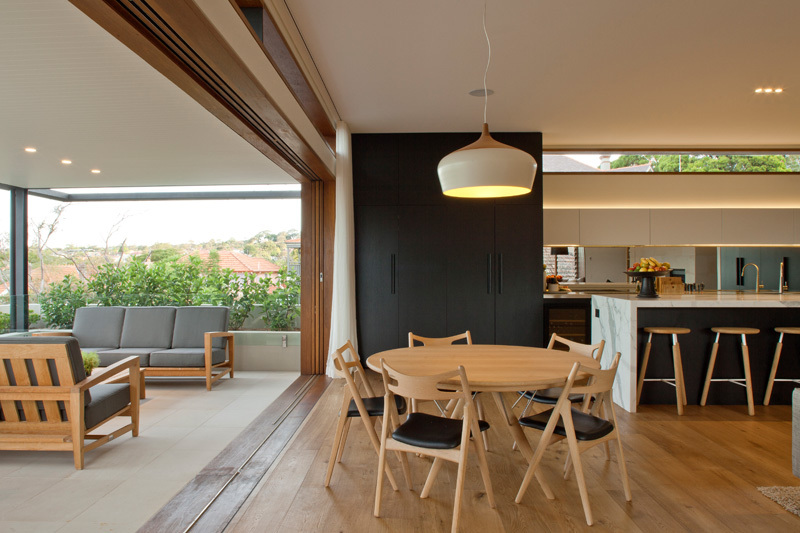 By careful manipulation of openings the substantial house achieves a balance of privacy and outlook, light and shelter, texture and warmth. 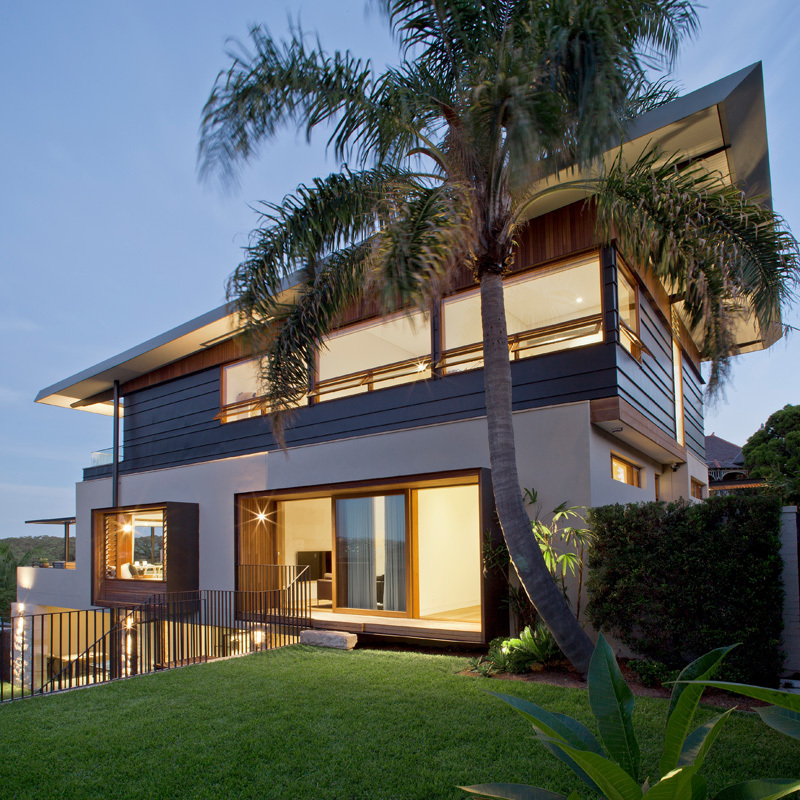 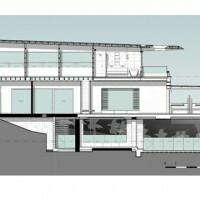 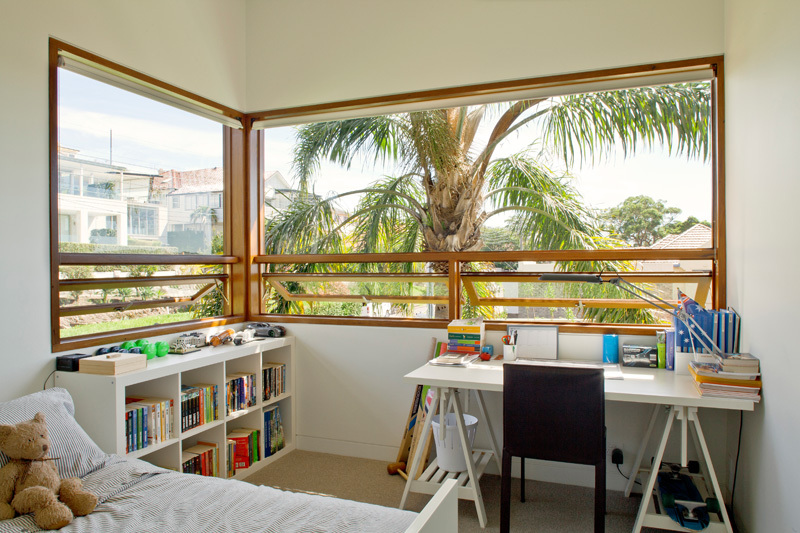 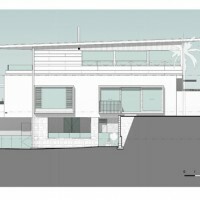 To build a house overlooking Sydney Harbour is a privilege not to be undertaken lightly. 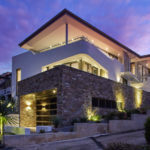 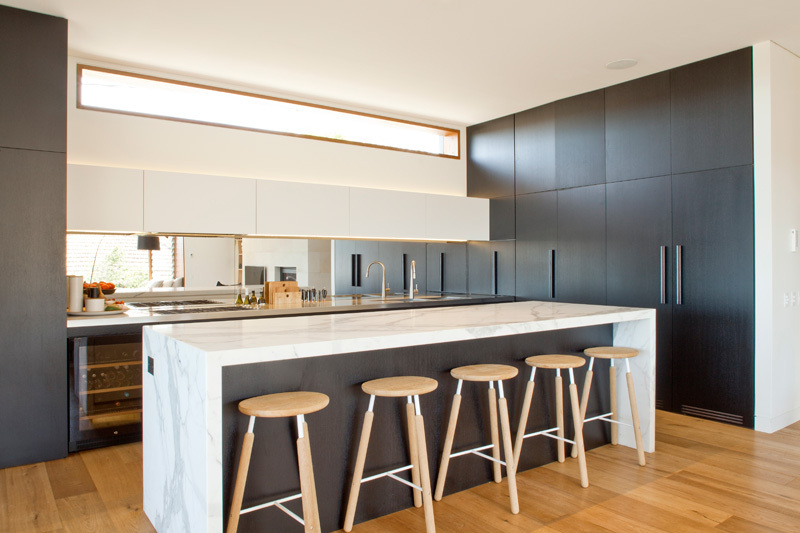 This house strives to create a contemporary dwelling which harbours the everyday experiences, aspirations and interactions of a family and contributes to the rich context of the populated slopes and fingers of bushland that reach into the waterway. 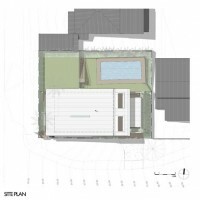 The site is exposed to two road frontages, and slopes substantially to the east. 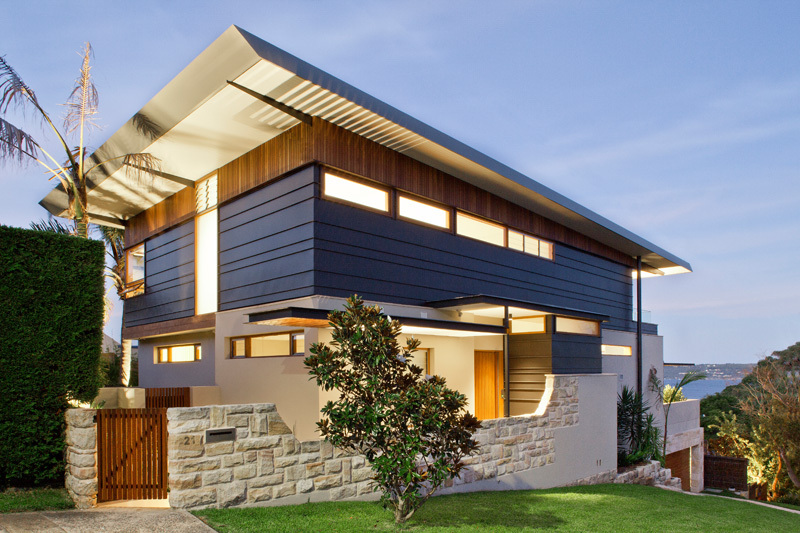 The form responds to this dramatic corner site with a stratified assembly overlaid by a simple skillion roof that mirrors the slope of the land. 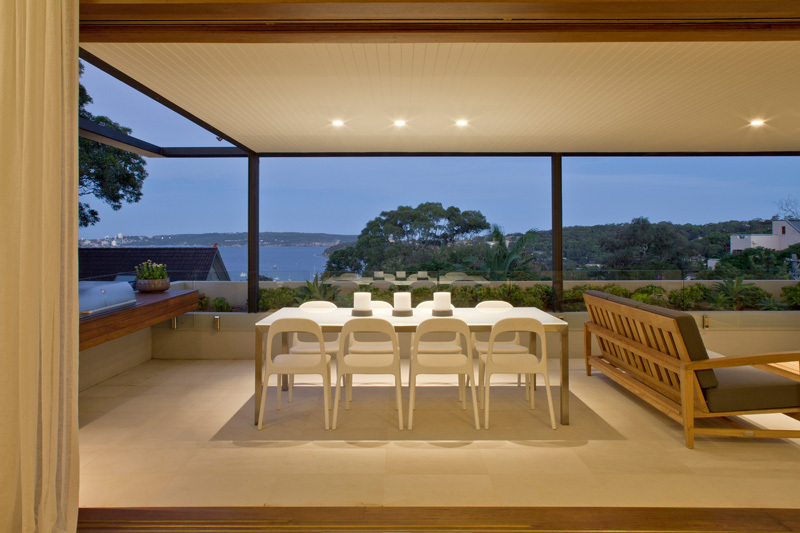 The stepping form creates terraces which extend the indoor living areas to the outside, creating sheltered places of prospect. 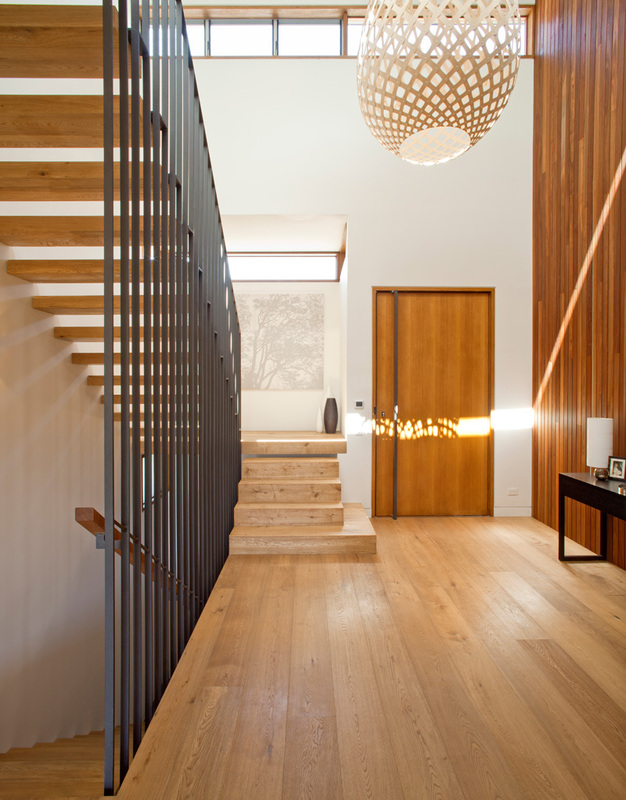 The solidity of the mass is eroded by a central double height space, allowing light to permeate through the stairwell to the lower ground floor. 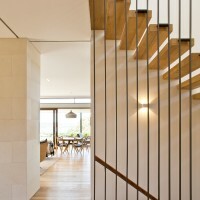 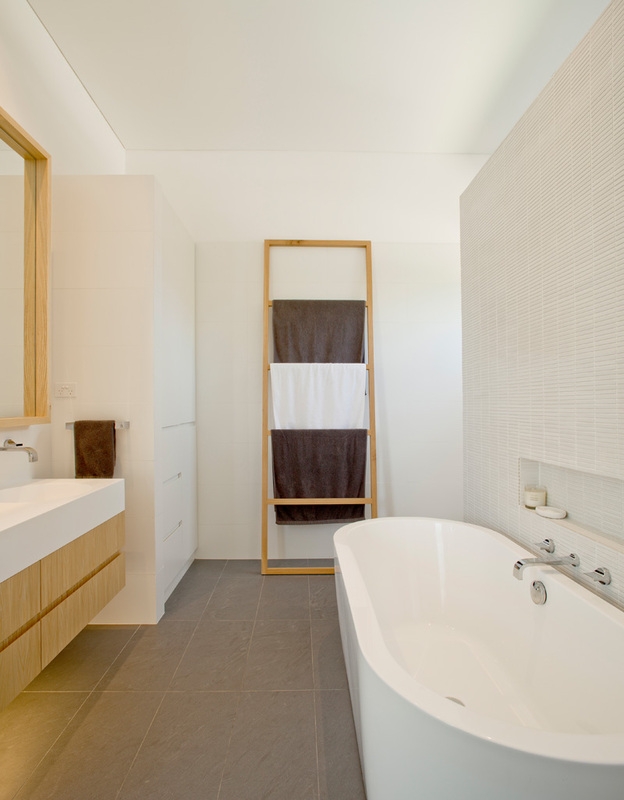 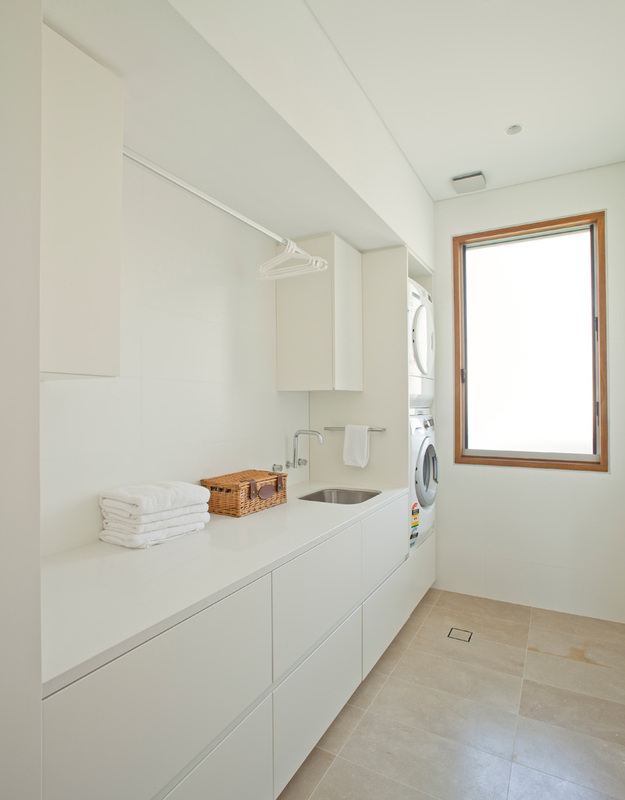 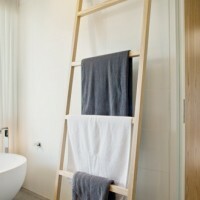 The warm, substantial character of the dwelling is carefully composed by means of the clarity of detailing, a palette of tactile natural materials and the careful manipulation of light. 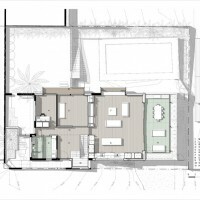 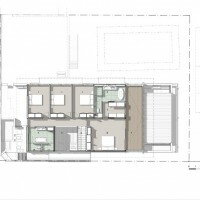 The building aspires to beauty, substance and place making in order to provide a vessel in which a family can grow.